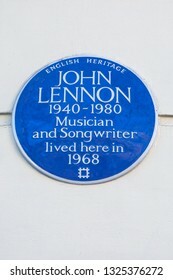 Freelance Photographer based in London, England. BA Degree in Photography & Digital Imaging. 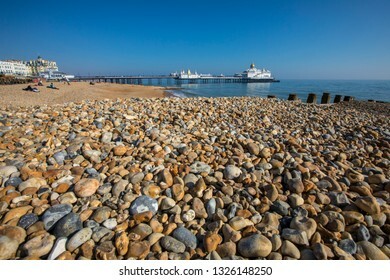 26,838 stock photos, vectors, and illustrations are available royalty-free. 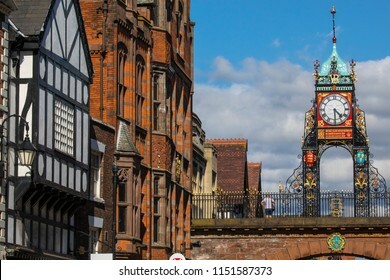 The famous Eastgate Clock, viewed from the historic city walls in the city of Chester, UK. 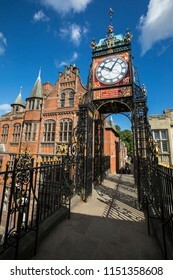 A view of the elegant Eastgate Clock in the historic city of Chester in Cheshire, UK. 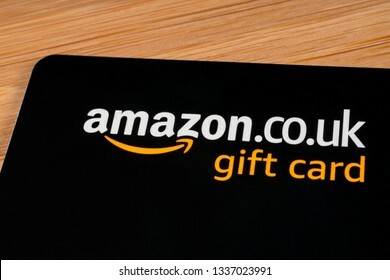 London, UK - March 12th 2019: A close-up of an Amazon gift card, pictured on a wooden surface. 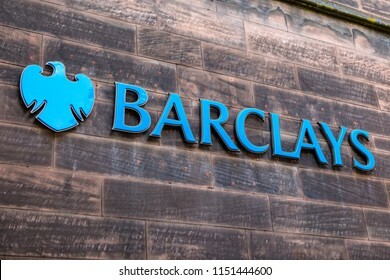 Chester, UK - July 31st 2018: The Barclays bank logo outside one of their branches in the city of Chester, UK. 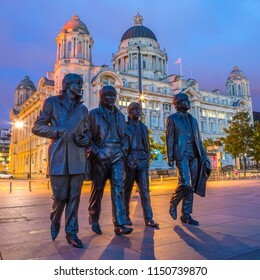 Liverpool, UK - July 30th 2018: Statues of The Beatles - Paul McCartney, George Harrison, Ringo Starr and John Lennon - with the Port of Liverpool building in the background, in the city of Liverpool. 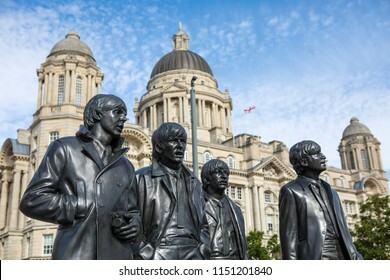 LIVERPOOL, UK - JULY 29TH 2018: Statues of The Beatles - Paul, George, Ringo and John on Pier Head in Liverpool, UK, with the Port of Liverpool building in the background, on 29th July 2018. 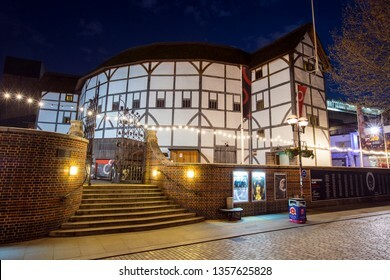 London, UK - April 1st 2019: A view of the reconstruction of the historic Globe Theatre - an Elizabethan playhouse associated with William Shakespeare, in London, UK. 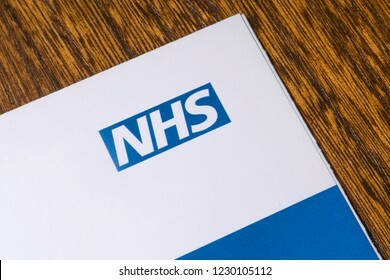 London, UK - November 14th 2018: A close-up of the NHS - National Health Service logo, pictured on an information leaflet. 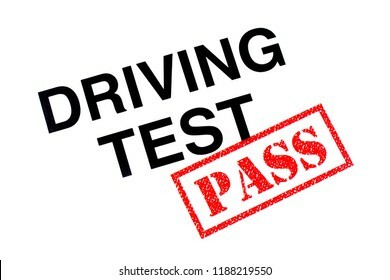 A Driving Test heading stamped with a red PASS rubber stamp. 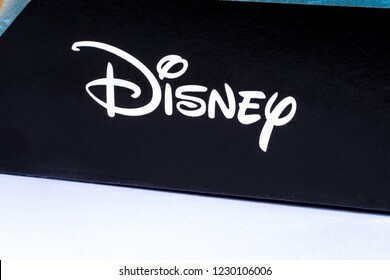 London, UK - November 14th 2018: The Disney company logo, pictured on product packaging. 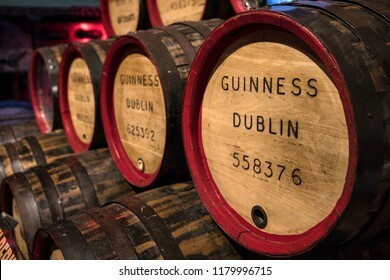 Dublin, Ireland - August 13th 2018: Vintage Guinness barrels, on display at the Guinness Storehouse in Dublin, Ireland. 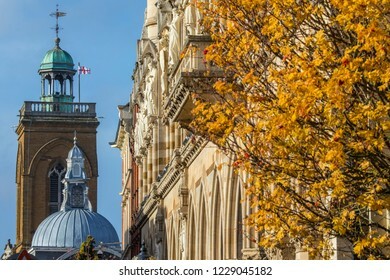 A view of looking across the facade of Northampton Guildhall and the tower of All Saints Church in the town of Northampton, UK. 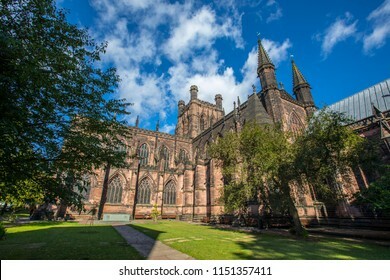 A view of the magnificent Chester Cathedral, in the historic city of Chester in Cheshire, UK. 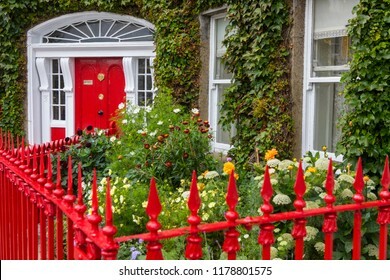 A beautiful Georgian townhouse in the town of Westport in County Mayo, Republic of Ireland. 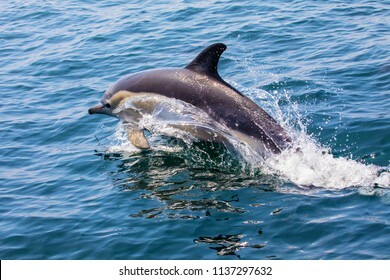 A Dolphin swimming off of the coast of Lagos in the Algarve region of Portugal. 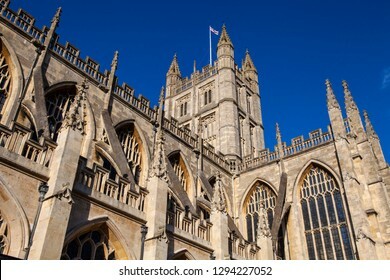 A view of the magnificent Bath Abbey in the historic city of Bath in Somerset, UK. 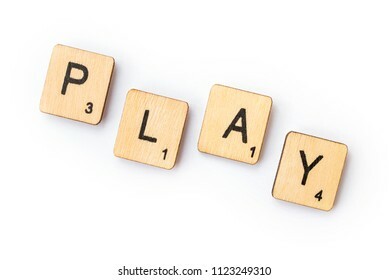 LONDON, UK - JUNE 28TH 2018: The word PLAY spelt out with wooden Scrabble letter tiles, on 28th June 2018. 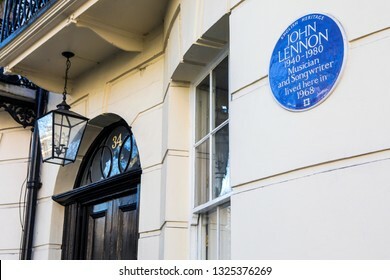 London, UK - February 26th 2019: A blue plaque on Montagu Square in London, marking the location where music legend John Lennon once lived. 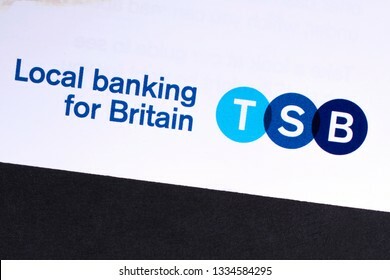 LONDON, UK - DECEMBER 18TH 2017: Close-up of the National Health Service logo on a letterhead, on 18th December 2017. 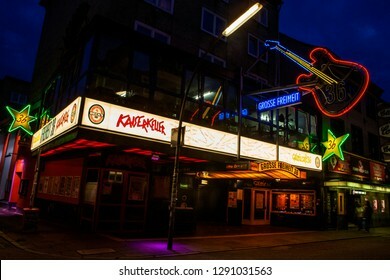 Hamburg, Germany - August 23rd 2011: The Kaiserkeller music club in the St. Pauli quarter of Hamburg, Germany, near the Reeperbahn. 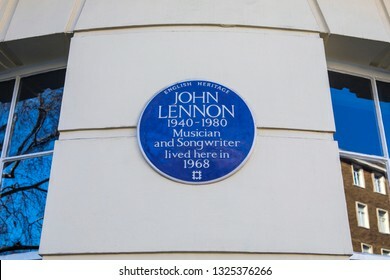 The British pop group The Beatles played there in 1960. 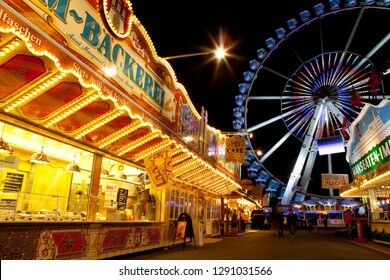 Hamburg, Germany - August 23rd 2011: A view inside the Dom Fun Fair in the city of Hamburg, Germany. 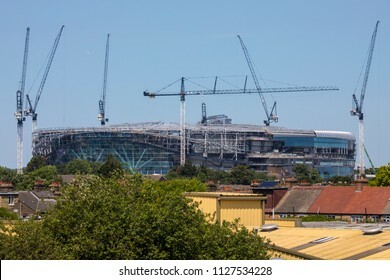 LONDON, UK - JULY 3RD 2018: A view of the new Tottenham Hotspur FC stadium under construction in Tottenham, London, on 3rd July 2018. 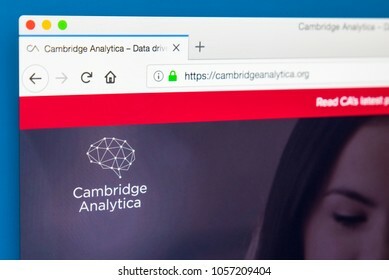 LONDON, UK - MARCH 29TH 2018: The homepage of the official website for Cambridge Analytica - the British political consulting firm, on 29th March 2018. 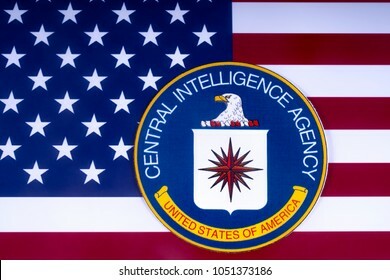 LONDON, UK - MARCH 18TH 2018: The symbol of the Central Intelligence Agency over the US Flag, on 18th March 2018. The CIA is a civilian foreign intelligence service of the US federal government. 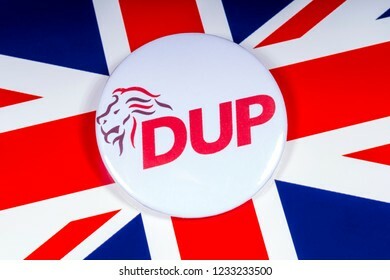 London, UK - November 15th 2018: A Democratic Unionist Party pin badge, pictured over the UK flag. 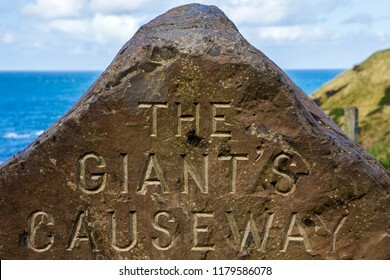 A sign for the Giant’s Causeway in Northern Ireland etched into a rock. 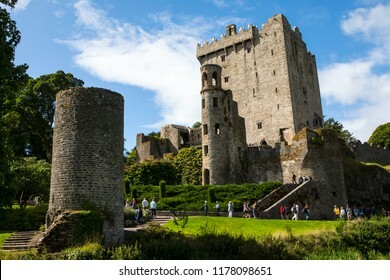 Blarney, Republic of Ireland - August 16th 2018: A view of the historic Blarney Castle, in the town of Blarney, Republic of Ireland. 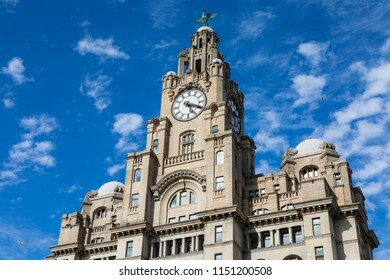 A view of the historic Royal Liver Building in the city of Liverpool, UK. 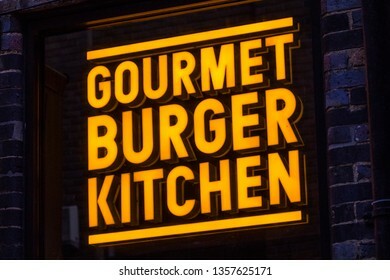 London, UK - April 1st 2019: The company logo of Gourmet Burger Kitchen above the entrance to one of their restaurants in London, UK. 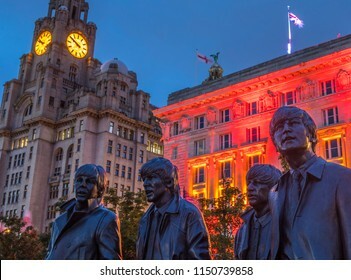 LIVERPOOL, UK - JULY 29TH 2018: Statues of The Beatles - Paul, George, Ringo and John on Pier Head in Liverpool, UK, with the Royal Liver Building in the background, on 29th July 2018. 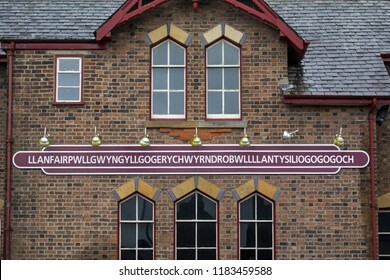 Llanfair PG, Wales - August 12th 2018: The station house at Llanfairpwllgwyngyllgogerychwyrndrobwllllantysiliogogogoch in Wales. 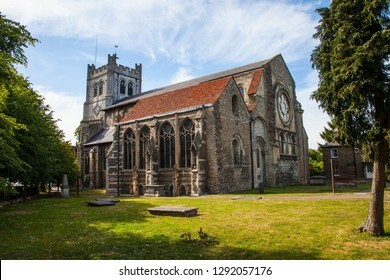 The village is famous for having the longest place name in Britain. 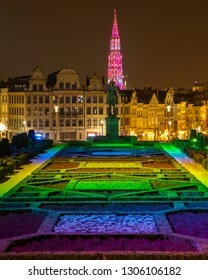 The beautiful view from Mont des Arts in the city of Brussels, Belgium. 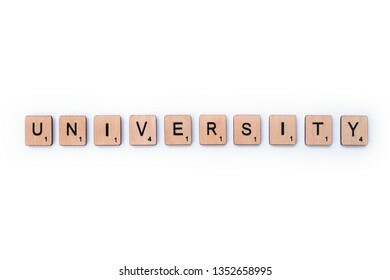 The spire of Brussels Town Hall can be seen, along with the statue of King Albert I.
London, UK - March 27th 2019: The word UNIVERSITY, spelt with wooden letter tiles on a white background. 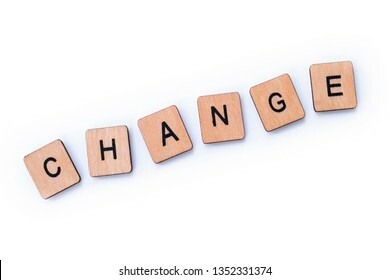 The word CHANGE, spelt with wooden letter tiles over a white background. 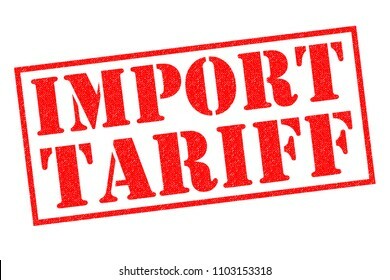 IMPORT TARIFF red Rubber Stamp over a white background. 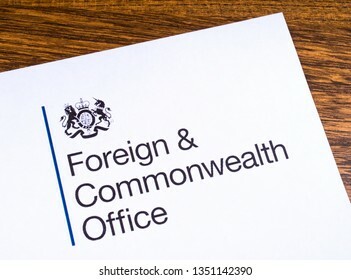 London, UK - March 12th 2019: Logo of the Foreign and Commonwealth Office, pictured on a piece of paper or leaflet. 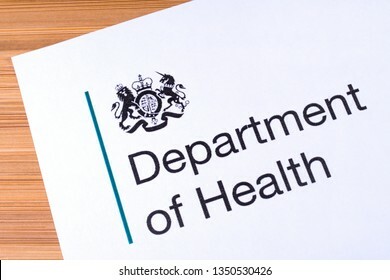 London, UK - March 12th 2019: Logo of the Department of Health, pictured on a piece of paper. The Department of Health is a department of the UK Government. LONDON, UK - APRIL 27TH 2018: A John F. Kennedy badge pictured over the USA Flag, on 27th April 2018. 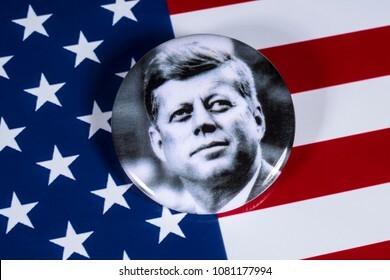 John F Kennedy was the 35th President of the United States of America. 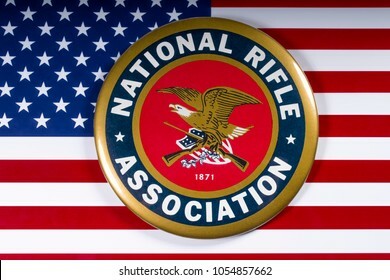 LONDON, UK - MARCH 26TH 2018: The symbol of the National Rifle Association portrayed with the US flag, on 26th March 2018. 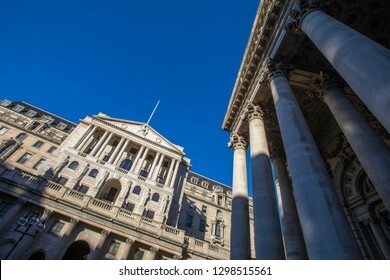 A view of the exterior of The Bank of England - the central bank of the UK, with the Royal Exchange building on the right-handside in London, UK. 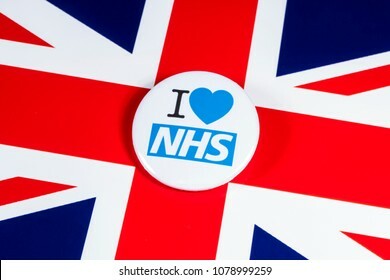 LONDON, UK - APRIL 27TH 2018: An I Love the NHS badge over the UK flag, on 27th April 2018. The The National Health Service was established in 1948 as one of the major social reforms following WW2. 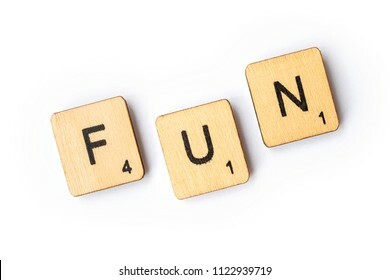 LONDON, UK - JUNE 28TH 2018: The word FUN spelt out with wooden scrabble letter tiles, on 28th June 2018. 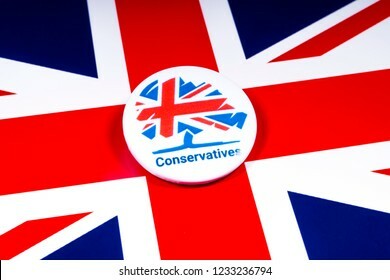 London, UK - November 18th 2018: A Conservative Party pin badge over the UK flag. 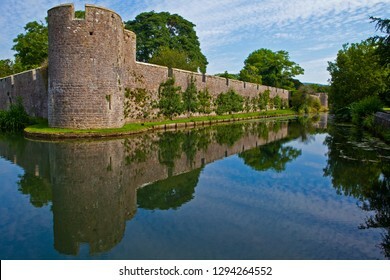 A view of the exterior wall and moat of the historic Bishops Palace in the cathedral city of Wells in Somerset, UK. A view of an Electricity Pylon in the UK. 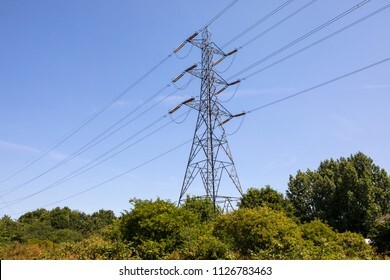 A pylon is a tall structure, used to support an overhead power line. Waterford, Republic of Ireland - August 14th 2018: A dusk-time view of the historic city of Waterford in the Republic of Ireland. 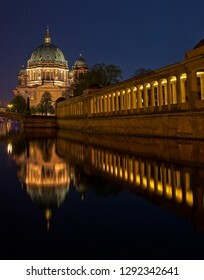 A stunning view over the Spree River in Berlin, taking in the sights of the Berliner Dom and the columns of the Altes Museum. 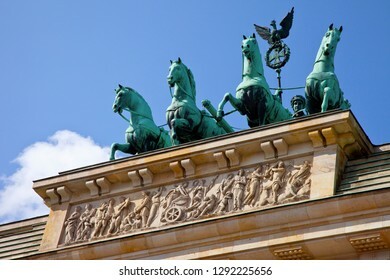 A close-up view of the quadriga on top of the Brandenburg Gate in the historic city of Berlin in Germany. 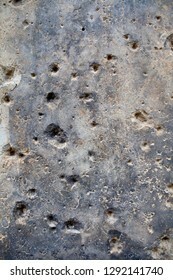 A close-up of bullet holes created during the Battle of Berlin near the end of the Second World War, in Berlin, Germany. 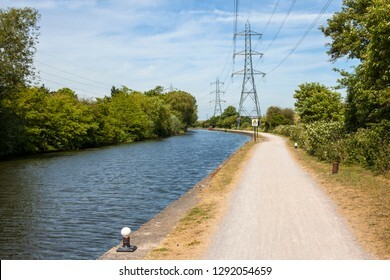 Walking along the River Lee Navigation towpath between Chingford and Enfield. 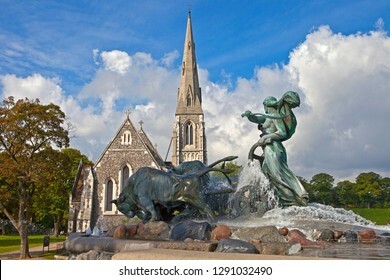 A view of the Gefion Fountain with St. Albans Church in the background, in Copenhagen, Denmark. 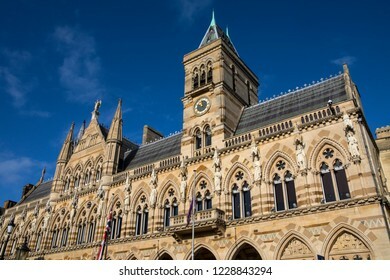 A view of the magnificent architecture of Northampton Guildhall in the town of Northampton, UK. 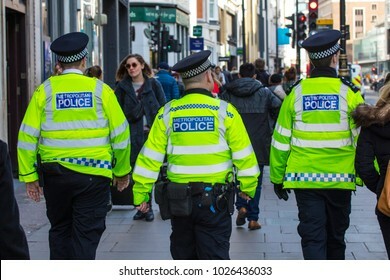 LONDON, UK - FEBRUARY 16TH 2018: Metropolitan Police Officers walking down Oxford Street in central London, on 16th February 2018. 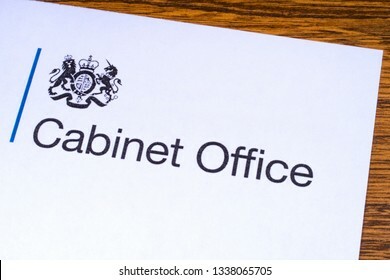 London, UK - March 12th 2019: Logo for the Cabinet Office, pictured on a piece of paper or leaflet. 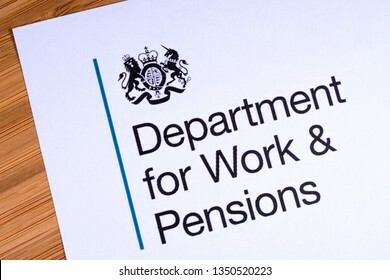 It is a department of the government of the UK responsible for the Prime Minister and Cabinet. 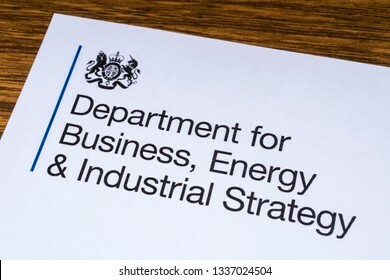 London, UK - March 12th 2019: The logo for the Department for Business, Energy and Industrial Strategy, pictured on a piece of paper or leaflet. 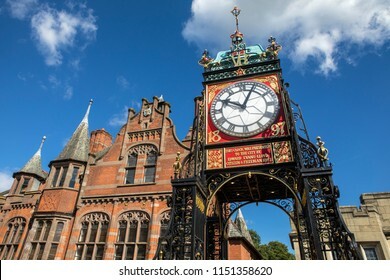 The BEIS is a department of the government of the UK. 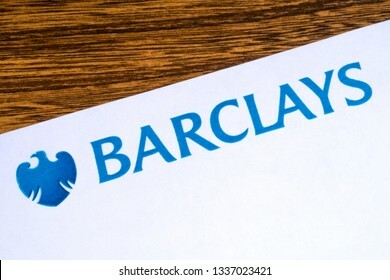 London, UK - March 12th 2019: The logo for Barclays bank pictured on the corner of an information leaflet. 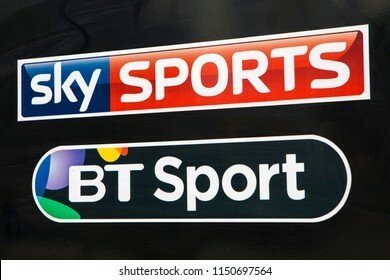 COVENTRY, UK - JULY 26TH 2018: A close-up of the logos for Sky Sports and BT Sport, pictured on a public house sign, on 26th July 2018. 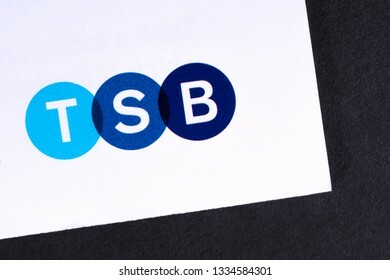 London, UK - March 7th 2019: The logo for TSB bank pictured on the corner of an information leaflet. 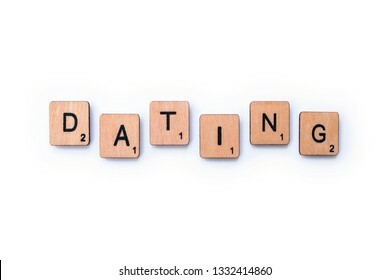 London, UK - February 13th 2019: The word DATING, spelt with wooden letter tiles over a white background. 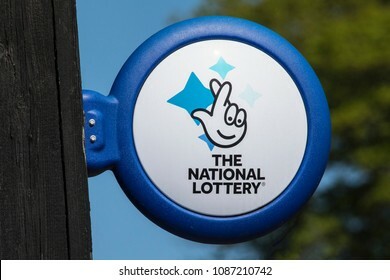 ARUNDEL, UK - May 5th 2018: Close-up of The National lottery Sign, on display outside a newsagents in the town of Arundel in West Sussex, on 5th May 2018. 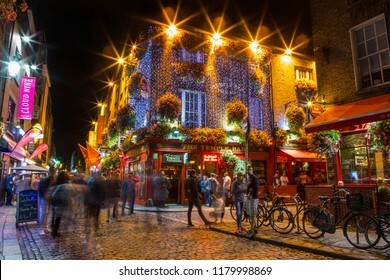 Dublin, Republic of Ireland - August 12th 2018: A night-time view of the historic Temple Bar area in the city of Dublin, Ireland. 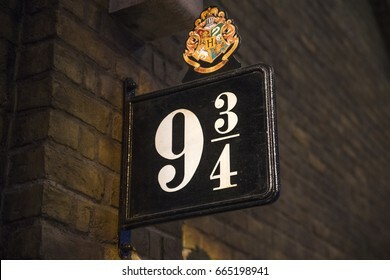 LEAVESDEN, UK - JUNE 19TH 2017: The sign for Platform 9 3/4 at the Making of Harry Potter Studio tour at the Warner Bros. Studios in Leavesden, UK, on 19th June 2017. 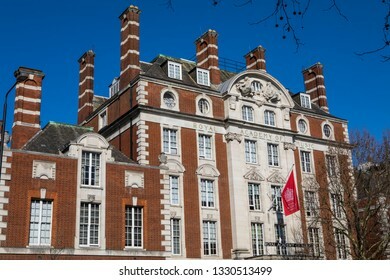 London, UK - February 26th 2019: A view of the exterior of the Royal Academy of Music in London, UK. 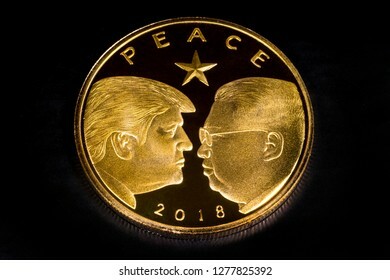 London, UK - December 4th 2018: A coin commemorating the peace summit on 12th June 2018 between US President Donald Trump and North Korean leader Kim Jong-un. 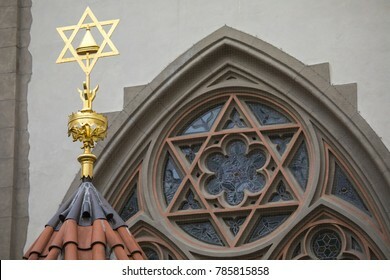 The Jewish Star on the exterior of the Maisel Synagogue, located in the Jewish Quarter of Prague in Czech Republic. 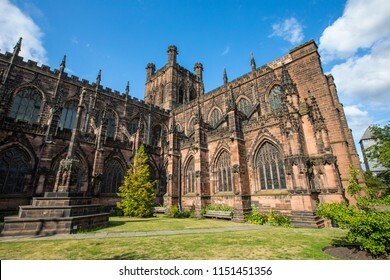 A view of the magnificent Chester Cathedral in the historic city of Chester in Cheshire, UK. 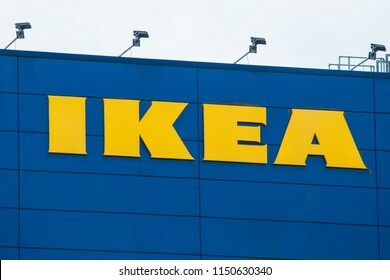 COVENTRY, UK - JULY 26TH 2018: The IKEA sign on the exterior of one of their stores in the UK, on 26th July 2018. 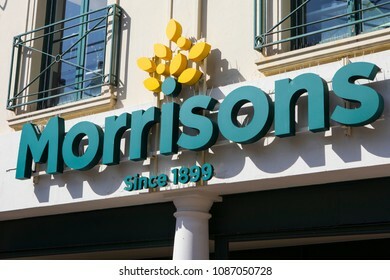 BRIGHTON, UK - MAY 4TH 2018: The Morrisons logo above the entrance to their store in Brighton, UK, on 4th May 2018. 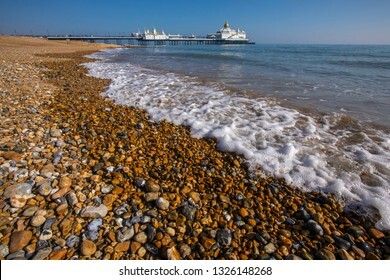 A view of the historic Eastbourne Pier in Eastbourne, East Sussex, UK. 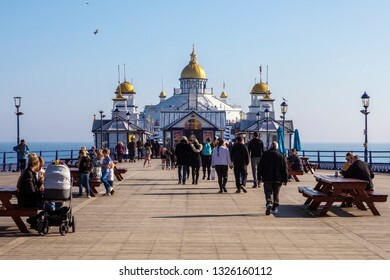 East Sussex, UK - February 23rd 2019: Tourists walking along the historic Eastbourne Pier in the seaside town of Eastbourne in East Sussex, UK. LONDON, UK - MARCH 26TH 2018: The symbol of the Federal Aviation Administration portrayed with the US flag, on 26th March 2018. 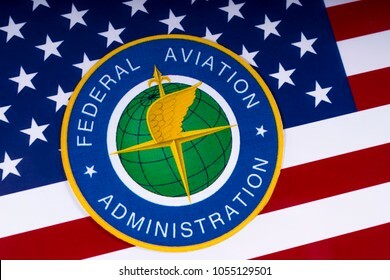 The FAA is a national authority with powers to regulate civil aviation. 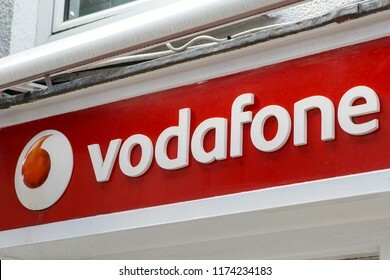 Waterford, Republic of Ireland - August 14th 2018: The Vodaphone logo above the entrance to one of their shops in the city of Waterford, Republic of Ireland. 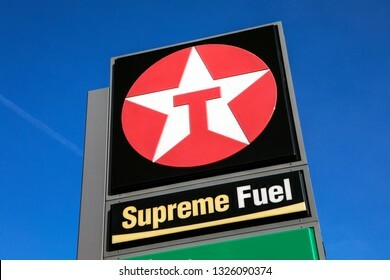 Kent, UK - February 21st 2019: The Texaco logo at a Texaco petrol filling station in Kent, England. 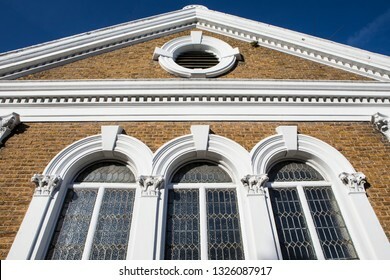 A view of the exterior of Herne Bay Baptist Church, located on the High Street in the coastal town of Herne Bay in Kent, England. 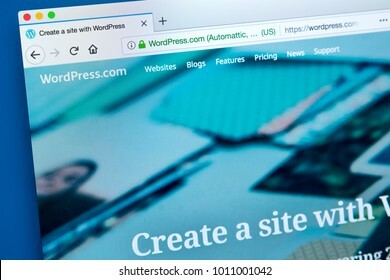 LONDON, UK - JANUARY 25TH 2018: The homepage of the official website for WordPress - the online content management system, on 25th January 2018. 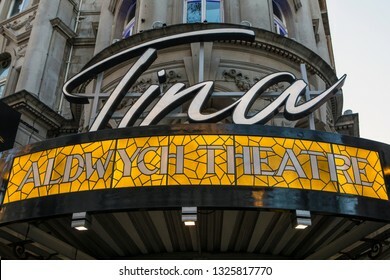 London, UK - February 26th 2019: The sign for Tina - The Tina Turner Musical at the Aldwych Theatre in the West End, London, UK. 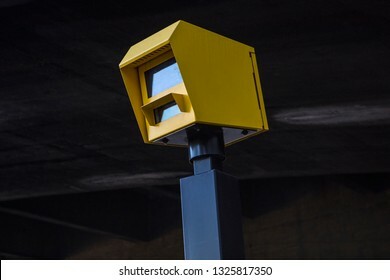 A close-up of a speed camera in central London, UK. London, UK - February 26th 2019: The Cartoon Museum in London. 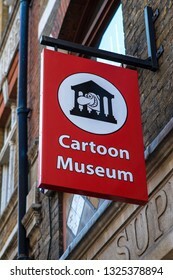 The museum for British cartoons, caricatures, comic strips and animation is owned and operated by the Cartoon Art Trust. 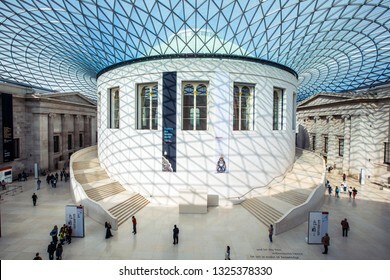 London, UK - February 26th 2019: A view of the impressive Great Court and glass ceiling in the British Museum in London. 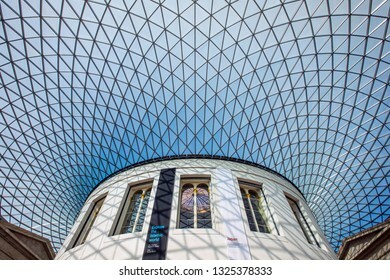 London, UK - February 26th 2019: A view of the impressive glass roof of the Great Court in the British Museum in London. 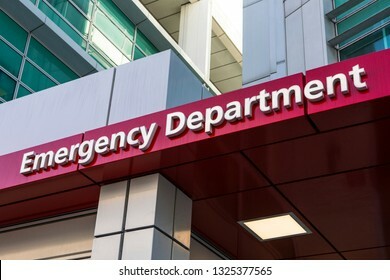 A sign above the entrance to an Emergency Department at a hospital. 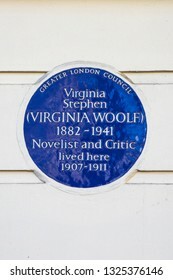 London, UK - February 26th 2019: A blue plaque on Fitzroy Square in London, marking the location where novelist Virginia Woolf once lived. 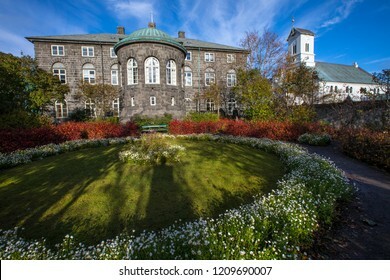 Reykjavik, Iceland - October 8th 2018: The Parliament House Garden in the city of Reykjavik, Iceland. The garden is situated behind the building that houses the National Parliament of Iceland. 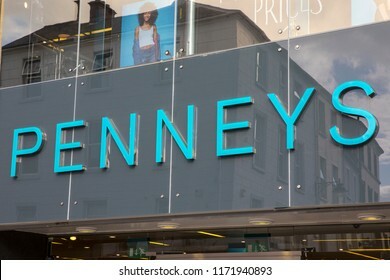 Dublin, Republic of Ireland - August 14th 2018: The sign above the entrance to a Penneys store in the city of Dublin in the Republic of Ireland, on 14th August 2018. 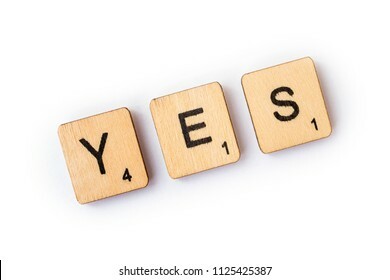 LONDON, UK - JUNE 28TH 2018: The word YES, spelt with wooden letter Scrabble tiles, on 28th June 2018. 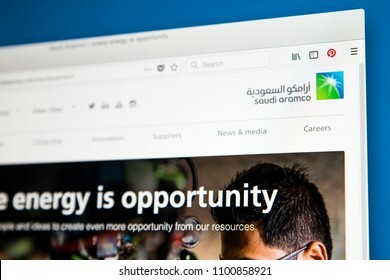 LONDON, UK - MAY 29TH 2018: The homepage of the official website for Saudi Aramco - a Saudi Arabian national petroleum and natural gas company, on 29th May 2018. 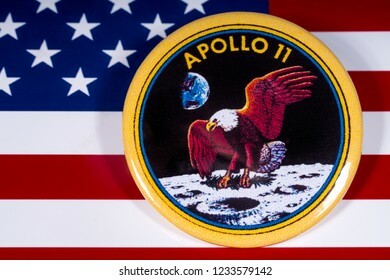 London, UK - November 15th 2018: The badge of the historic Apollo 11 moon landing, pictured over the flag of the United States of America. 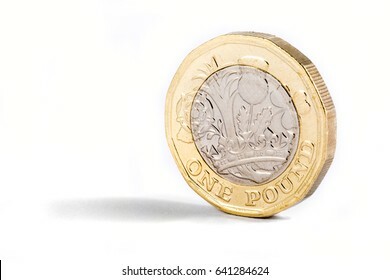 A close-up shot of the new British one pound coin over a white background. 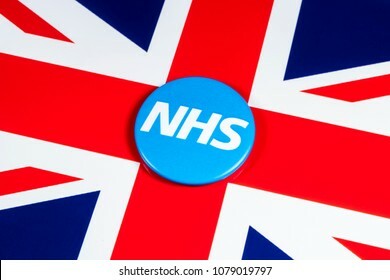 LONDON, UK - APRIL 27TH 2018: The National Health Service symbol over the UK flag, on 27th April 2018. 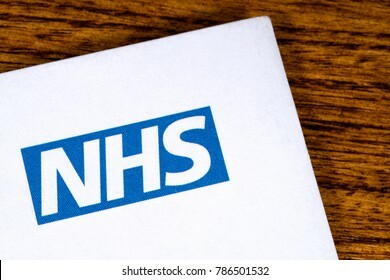 The NHS was established in 1948 as one of the major social reforms following the 2nd World War. 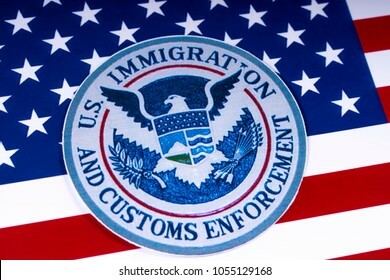 LONDON, UK - MARCH 26TH 2018: The symbol of US Immigration and Customs Enforcement portrayed with the US flag, on 26th March 2018. 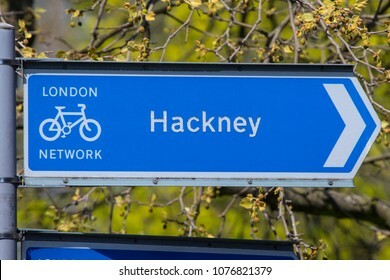 A directional sign for cyclists pointing towards the Hackney area of London in the UK. 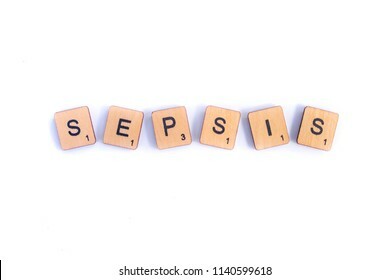 LONDON, UK - JULY 7TH 2018: The word SEPSIS spelt with wooden letter Scrabble tiles, on 7th July 2018.